I love sacred music and I love choral music, and Christmas time provides ample opportunities to enjoy both. There were so many TV programs scheduled for Christmas Eve and Christmas Day that I had to plan how I could experience all of them. I made myself a schedule and identified which ones I would record for later viewing, as they were either simultaneously broadcast or shown too late for me. Even so, I somehow missed the lush soprano Angela Brown’s performance. It was never meant to be anything but a practice cloth. Never meant to be shown or finished. I was just trying out different ways of stitching the letter S and some stitches I’d learned through Sharon Boggon’s courses and TAST. Well, Kirrily is a professional graphics designer and she knows the publishing business. Not only did she finish the book and post it online, she also had it printed. And now there’s going to be a traveling exhibit throughout Australia of the book and the original art works. So that forced me to think about finishing the piece. How does one finish a piece that was never intended to be finished? With difficulty. When I took the piece off the working frame, it had to be stretched tight, so I laced it over a piece of foam core and put it in my notebook (journal) of S projects. You can see how the patches barely fit over the edges of the foam core. In the end, I decided on the burgundy red silk velvet that is the same as the center patch. Because it is so thin and slippery, and because it had to cover the long lacing threads on the back, I knew I’d have to pad it somehow. I tried ironing fusible Pellon fleece to a scrap of velvet, but in the end, I fused it at a few places directly to the foam core. That way I could wrap the velvet over the edges and tuck it in behind the padding on the back. Click to enlarge, then click on All Sizes if you want to see it even larger. Since Kirrily asked me how it could be displayed, I told her I would put hangers on the back so it could be hung anywhere. I just buttonhole stitched over plastic “bone” rings. Then I thought, it should have a label as well. 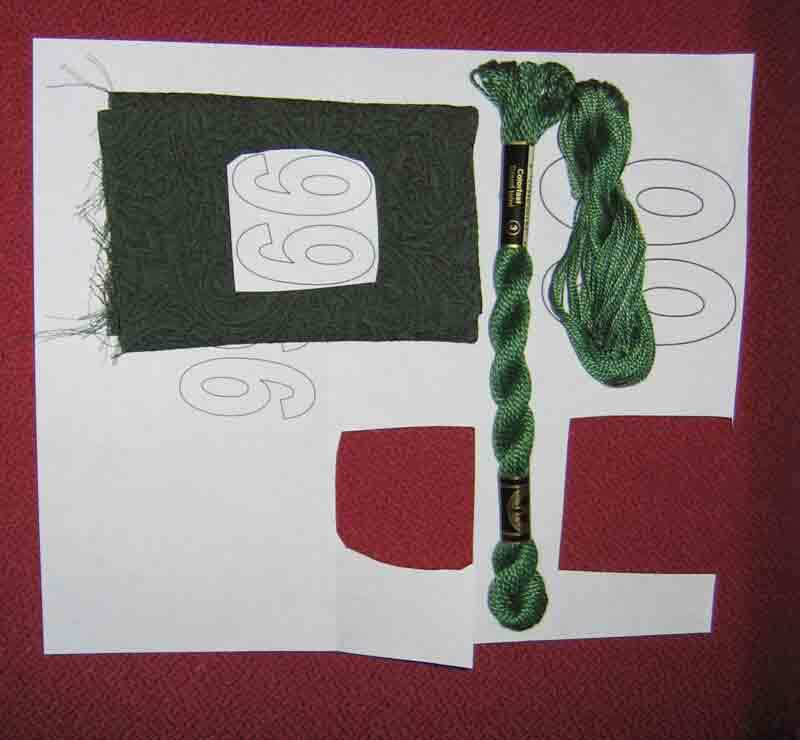 Now I know many ways in which I could have simply stitched my name, but I chose the most time-consuming, painstaking way–trailing stitch with a single strand of Zwicky silk thread couched over #5 pearl cotton. 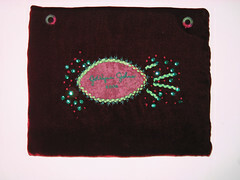 I first wrote my name on paper, then, on the light box I traced it on the fabric, another fabric also used for a patch. After cutting out the label, I lightly glued it to the velvet backing with temporary fabric glue and began herringbone stitching around the edges with a variegated Valdani #8 cotton thread. (The same thread I used to cover the rings.) Before I finished, I realized that the label wasn’t centered. 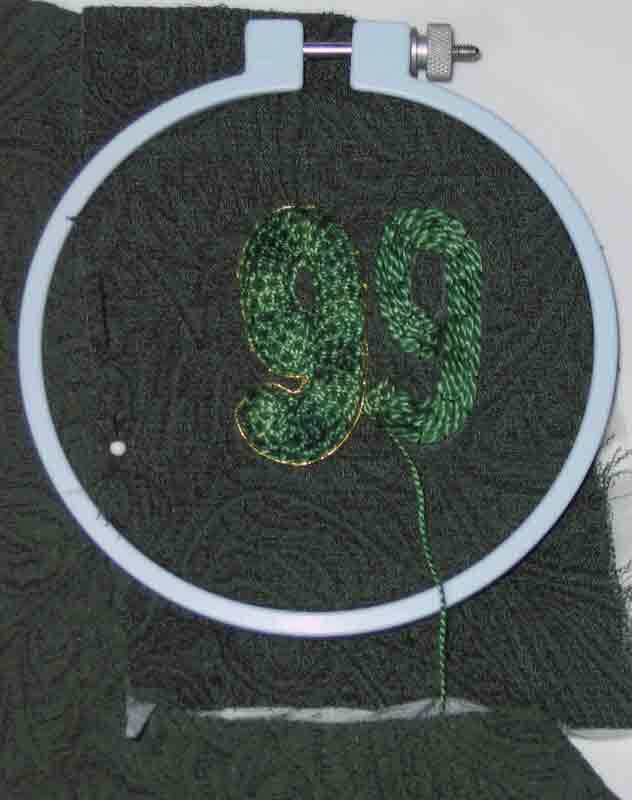 Clearly I had been paying more attention to “O Holy Night” than to my needlework. I am no longer any good at multitasking. Now remember, I was stitching against the rigid foam core on velvet. I couldn’t move the label without taking out laborious stitching, and probably, if I moved the label, the stitching holes in the velvet would be exposed. Damn, damn, damn. I decided I’d just glam it up to try and distract the eye from the obvious asymmetry. (I love asymmetry, but not where something is definitely meant to be centered.) That didn’t work, of course, but what’s a poor stitcher to do? After all, this IS the back. And have I told you how hard it is to stitch against rigid board? Can you imagine how hard it was to make those French knots? And the fly and straight stitches around the herringbone? And of course I had the challenge of hiding the beginnings and ends of threads. Mighty sore fingers. Oh, by the way, I painted the ric rac with pearlescent Dy-Na-Flow. On Christmas Eve, I made myself some eggnog (Ernie doesn’t like it) with an egg, vanilla ice cream, brandy, a dash of nutmeg and my wand blender and had a lovely time at the concerts. This break, with the stitching, was meant to take two or maybe three days, then back to physics. Well, I just finished yesterday, last night, in fact. I have really missed stitching and blogging. I love to write, so blogging is a real pleasure, and of course I love to make needleart. But I just can’t do all that concurrently. I’d never finish anything. 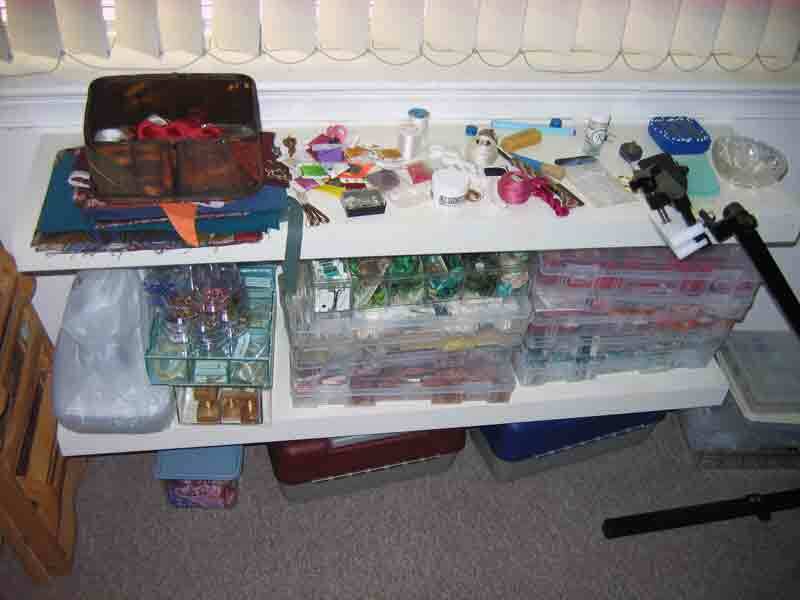 Besides, unlike so many other stitchers who blog, I can’t pick up some stitching for an odd few minutes here and there. I need a block of time to get into it. Nor can I just spontaneously blog. I have to edit and edit some more. So…..
NOW, it’s back to studying, and I’ll post an update on my progress next. An essay I wrote ten years ago about learning to live with the neurological disorder I have is being featured at present as a “success story” at a self-help site for people with similar problems. Look for it in the upper right. To all my readers and friends, I’m wishing you peace and joy. Thanks to all of you who left comments and e-mailed me about my last post, “What I should not do.” As is often the case, you’ve gotten me thinking. Definitely not. In my day-to-day life I am quite comfortable with, shall we say, casualness. I don’t like my space to get too cluttered, but I’ve got a lot of things lying around and lots of dust that I just don’t notice and seldom disturb. My husband routinely inspects me before I go out into the world as I can be careless about how I look. I live with a lot of imperfection of many kinds. But when it comes to my work, I want to get it right, both before my forced retirement and since, which means that now I care a lot about doing good needlework. Well, I have that kind of ambition. Although I was never ambitious for status, I enjoyed having it and the access it provided for doing more in my career. Although I appreciated it a lot when it came, I was never ambitious for recognition. While I enjoyed being influential in ways I thought were constructive, I was never ambitious for power. And since I always made more than enough, I was never ambitious for money. I mainly valued pay increases and bonuses as a genuine expression that my work was considered important. I was not motivated by any of these goals; I was motivated to be the best. Not just to do my best, but to be the best teacher, the best manager, the best consultant, the best grandmother. Of course I failed. I never came close, but that was the goal. The best I can do is not good enough for me. I always want my best to be better. And I always aim higher than I can possibly reach. Except when I’m doing something in a hurry, as I’ve said. Then I’m dissatisfied, not just with the piece, but with myself for doing it less well than I can. Since the years ahead of me are a lot fewer than those behind me, I know I will not have enough time to acquire the skills I’d need to create the needleart I’d like to be able to do. Nevertheless, when I’m making something as best I can, I am very happy. I love my work, always have. How fortunate I am, that I have had work I loved and felt to be worthwhile, both out in the world and now in solitude. However, my drive to do better work, to learn more, to develop new skills and use them is most likely the cause of my ME-CFS–pushing myself too hard. Overweening ambition. You may remember Esther, our friend and neighbor three floors below us, down the hall, and around the corner. 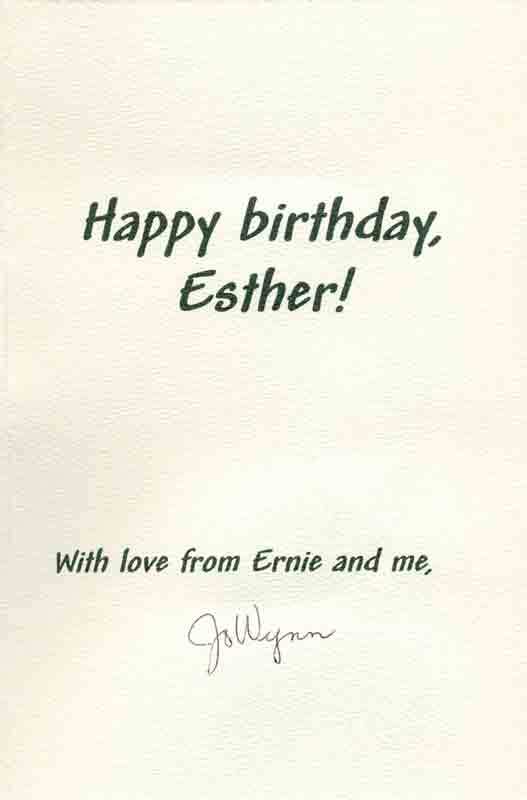 Last year I made a card for her 98th birthday. This year, her daughter, recently retired from the Foreign Service, and Esther’s neighbor across the hall have invited us to a party to celebrate her 99th birthday. Yes, Esther is still going, not quite as strong, but still doing her own grocery shopping and having dinner with friends in the dining room. The invitation said, “No gifts,” but I had already thought of a plan for a simple card for her and I wasn’t going to let that go. 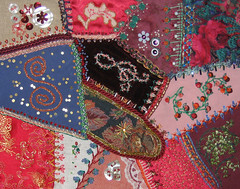 Before I could start working on it, though, I had to put away everything I had used to make the quilt square for Andrea’s child. I always clean up and put everything away after each project. If I didn’t, with my very limited space, I’d soon have a big mess and not be able to find things. So, first the clean-up. I wanted this to be a simple project, quick and easy, as it’s another interruption in my work plan. 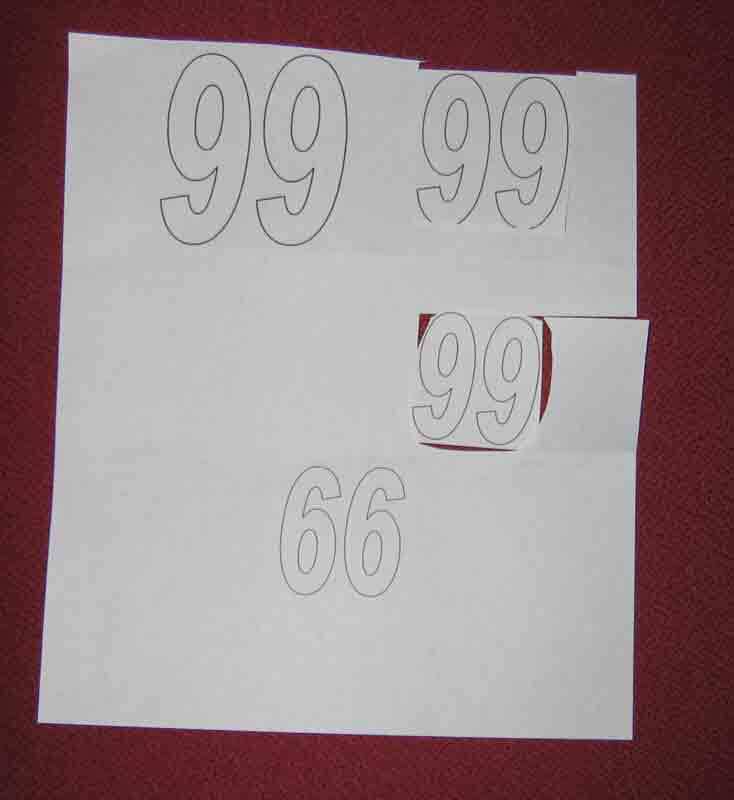 I printed several sizes of the number 99 and chose the size I wanted to use. Then I chose the fabric and threads I’d use. The threads are pearl cotton #3 for the padding and variegated DMC #5 pearl cotton for the top stitching. 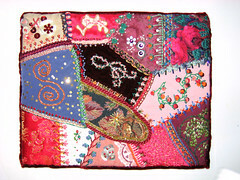 The fabric is a square (folded to about the size I wanted to use) from a fabric pack from Karen South. She offers a great way to build stash. Is this a matelasse? It has a nice texture, but it’s quite stretchy. 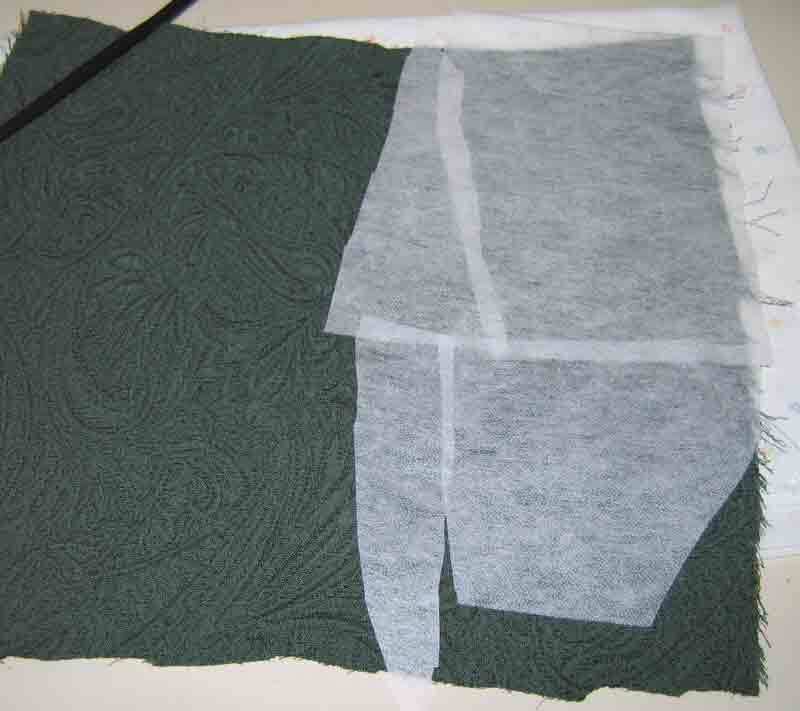 So, out came the Pellon interfacing and the iron. 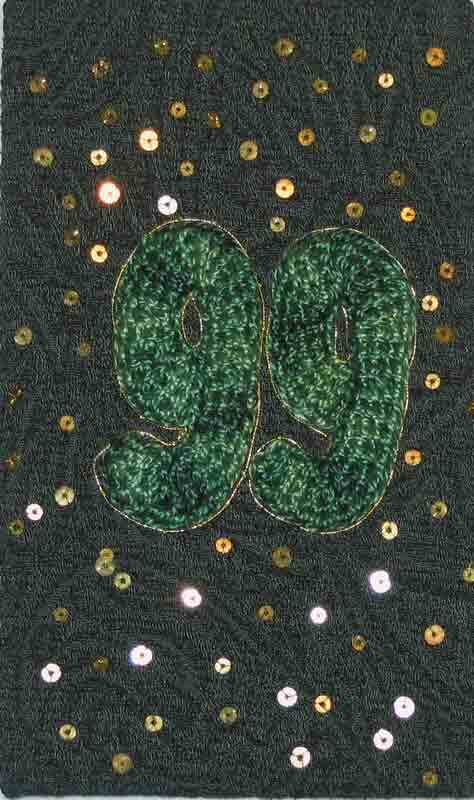 Then I used white transfer paper to get the printed 99 on to the fabric. In my haste, I cut the fabric too small to fit on a hoop, so I had to pin some extra fabric to it. That wasn’t the only mistake I made. Here is the stitching in progress. You can see the buttonholed 9 on the left and the padding on the right. Too eager to try out an idea I had for using gold thread for the returns of this detached buttonhole stitch over padding (which I rejected as too clumsy in appearance), I stitched one 9 before I had couched down the padding threads for the other 9. Consequently, when I did put that padding in place, I didn’t remember and could no longer match the number of threads I had used for the first 9, so they aren’t exactly the same size. 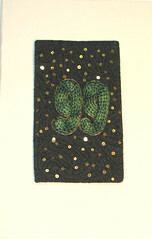 The gold outline is Lurex 361 and the paillettes (spangles) in three sizes are gold. I can consider this piece a warm-up for the long-deferred and still deferred Elizabethan S project. And the finished front of the card. If you click on the image, you will see it enlarged at Flickr, and you can further enlarge it there. I really shouldn’t work like this–too quickly. I don’t even think the green threads combine well with the fabric. 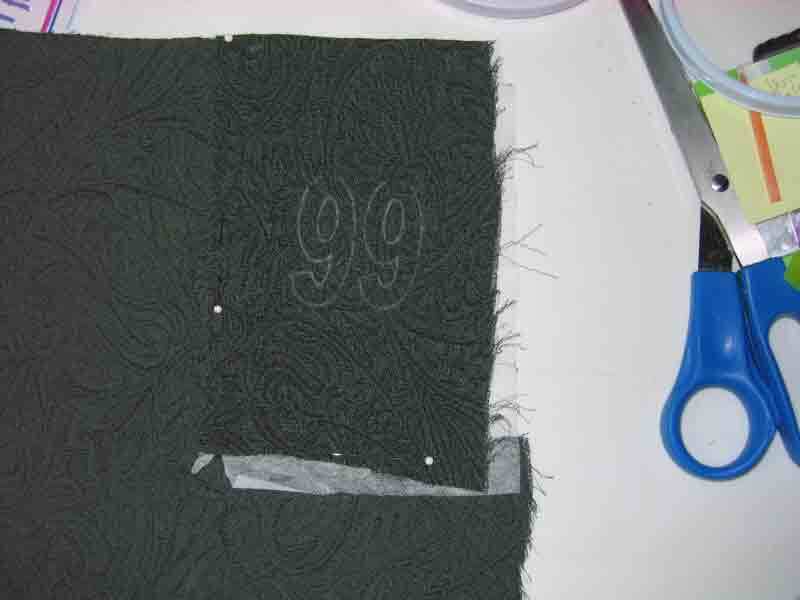 Under other circumstances, I would probably have unstitched the first 9, considered another thread for the buttonhole stitching, and started over. But I know that Esther will not evaluate my work. She will appreciate that I made the card for her. And I wanted to get it done. I’ve had another interruption to my work plan–from my grandson. He sent me his proposal for his senior physics project at Case Western Reserve University, and I wanted to understand it and show him that I did. So I spent two days looking up a lot of terms and re-reading his proposal several times. Then I wrote a summary of my understanding of it and sent that to him. I’ve had the 14 S embroideries project in mind for more than three years, maybe five years, and I have allowed various interruptions–taking online courses, participating in TAST, making gifts, embellishing my jacket, and so on, to keep me from getting on with it. Well, maybe that will turn out to be a good thing. I know that many creative people find that after having done a certain amount of work on a task, then taking a break, fresh ideas arise in the mind. So we’ll see. Meanwhile, before I can get back to stitching, I want to finish my study of particle physics, which has led me to some very interesting post-modern physics/philosophy theories. So many things to do, so little time. Still, I have a good life.